Charleston SC’s best seafood restaurant, Amen Street Fish & Raw Bar is located in the heart of downtown Charleston at 205 East Bay Street. 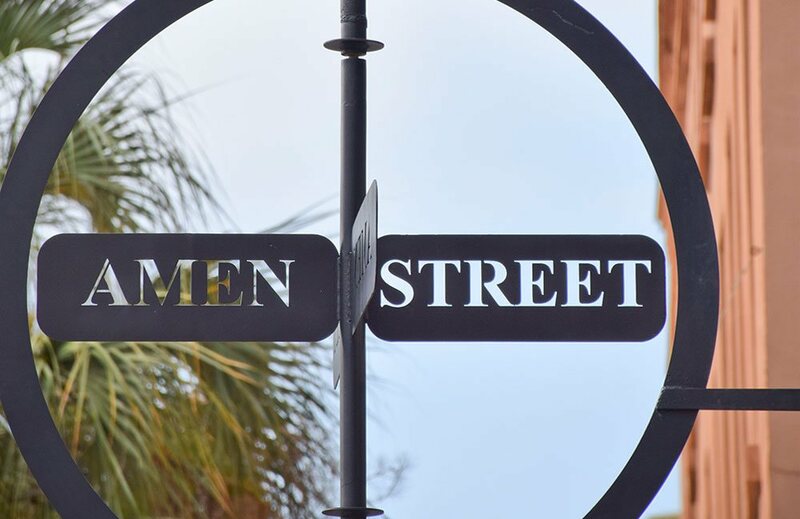 Specializing in fresh, local, sustainable seafood dishes such as oysters, clams, shrimp and fresh fish, Amen Street offers quintessential Lowcountry cuisine and inspired Southern cooking. 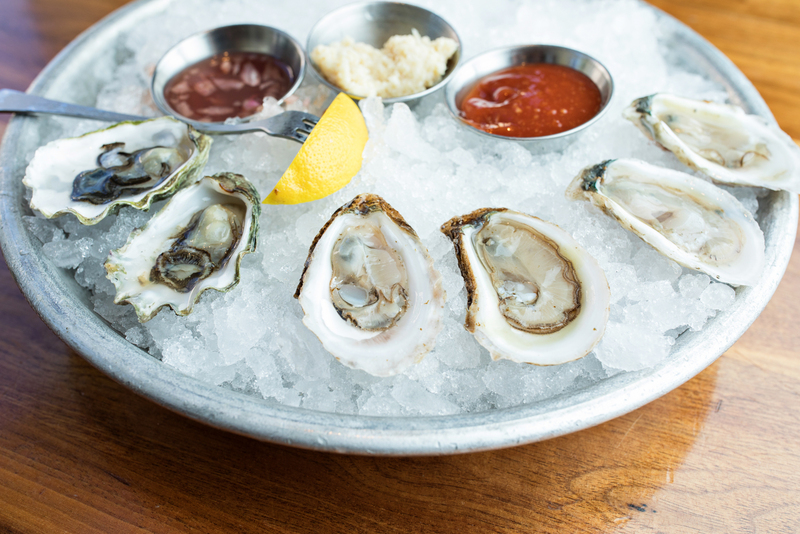 Our exhibition raw bar features the best variety of fresh shellfish and seafood in Charleston. Oysters are an iconic part of the Charleston culinary scene. 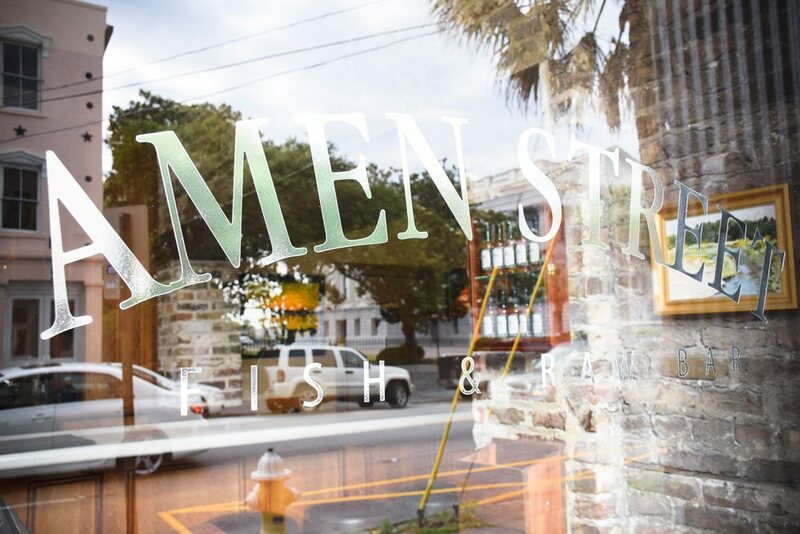 And Amen Street is Charleston’s go-to destination for oyster fine dining. Enjoy half and full dozen orders of the area’s finest, freshest oysters cleanly shucked and served on the half shell. Here, oysters are revered. 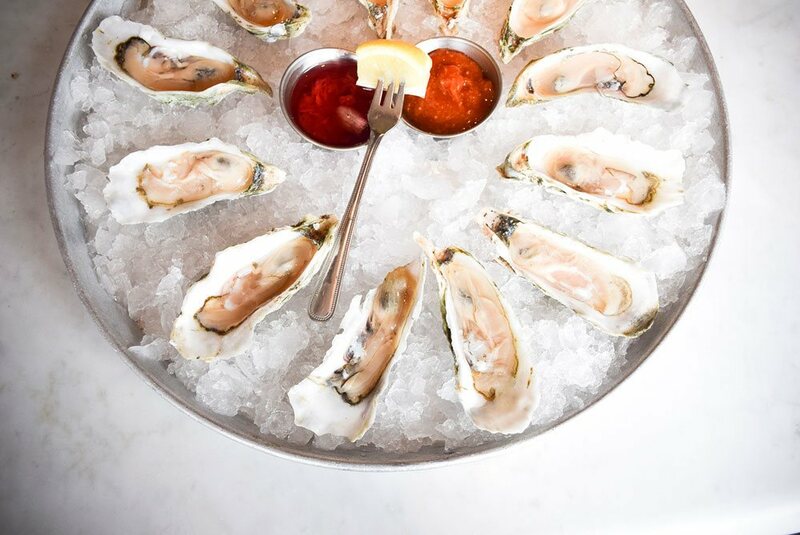 We serve over 20 varieties of oysters from local sources and suppliers all over the east coast! You can enjoy them raw, baked, stuffed or fried. And don’t miss our happy hour specials! 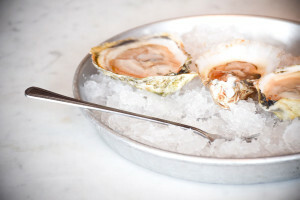 Amen Street is Charleston’s best raw bar with an always fresh fish and seafood menu that changes daily. From incredible local clams and shrimp to exciting market seafood options, there’s always something great to try! 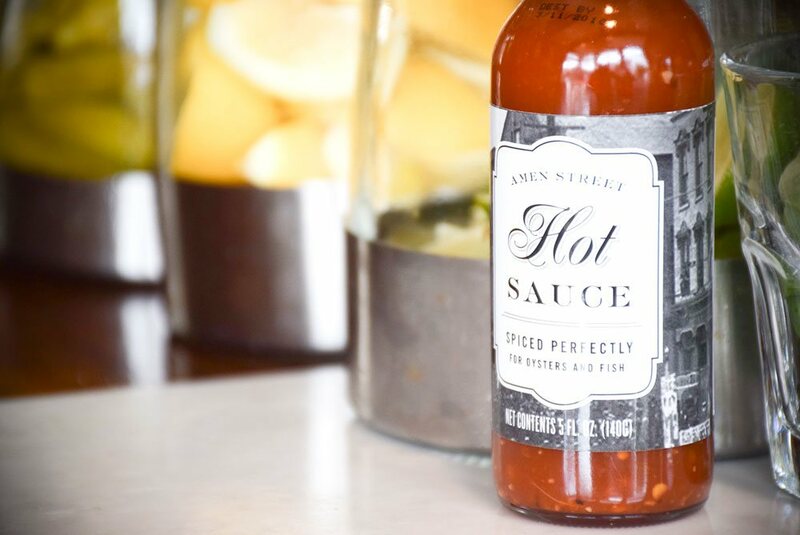 Why not try it all with the Amen Sampler? 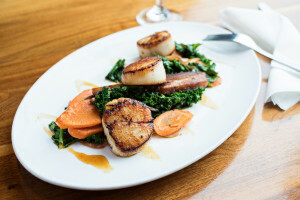 Our carefully planned lunch and dinner menus feature a wide range of classic Lowcountry options with an exciting twist. 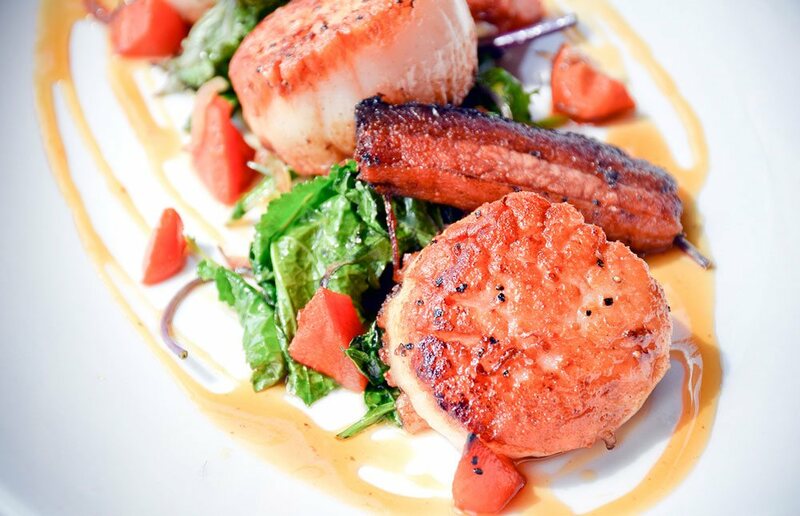 Enjoy classic she-crab soup finished with dry sherry, shrimp & grits with house-smoked ham, hushpuppies with local wild flower honey, decadent seared scallops, hearty but light crab cakes and much more! 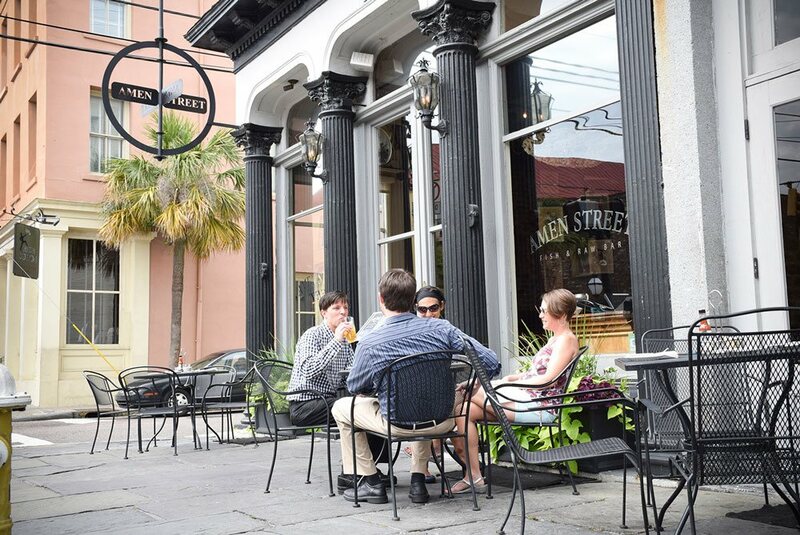 Experience an incredible seafood menu and raw bar in the heart of downtown Charleston, SC. 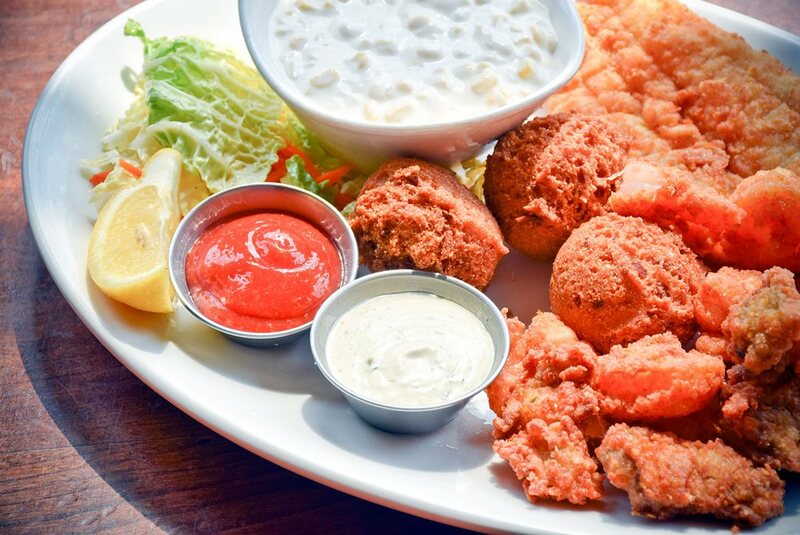 Our seafood restaurant on East Bay Street is right around the corner from the iconic Charleston Market and Waterfront Park. We’re the perfect place to experience the best seafood in Charleston for lunch or dinner in an upscale but relaxed, classic Charlestonian atmosphere. Walk right in, or make a reservation with us today!